Last year Newcastle’s largest ever metropolitan music event, Hit The North, was unleashed upon hundreds of music lovers. The multi-venue festival, set up by organisers to champion upcoming and established UK artists, was even bigger than anyone could have anticipated. The likes of Slaves, Lethal Bizzle, Frightened Rabbit and countless others performed to packed-out crowds at some of the city’s most beloved venues. It’s a tough gig to follow, but organisers have pulled out all the stops to make sure the return of Hit The North (which runs from Friday 4th–Sunday 6th May) lives up to the hype. This year flaunts a slightly different set-up, with more venues and artists added to the bills and the addition of three opening parties on Friday 4th. These will feature London funk pop ensemble Jungle at The Boiler Shop, Liverpool indie rockers Circa Waves at O2 Academy and grungy Scots Drenge at Riverside. Topping the bill for HTN 2018 on Sunday 6th, is London’s Rat Boy, returning to the O2 Academy after a sell out show earlier this year with his chaotic indie hip-hop blend. 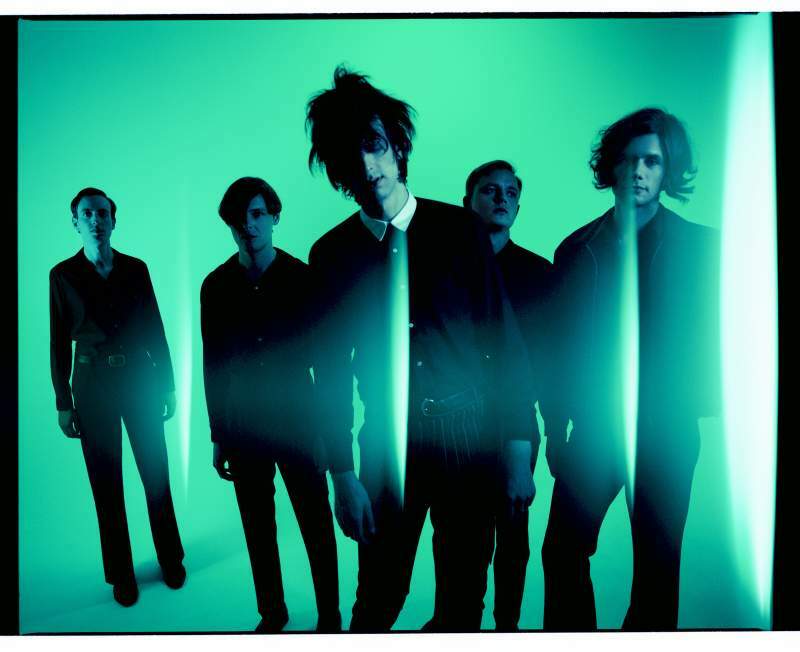 Joining him are psychedelic art punk legends The Horrors, fresh from touring last years’ acclaimed fifth album V. The leather-clad quintet bring massive stadium-shaking synth pop, with belters like Still Life and latest triumphant anthem Something To Remember Me By. Alongside them are rowdy alt. rockers Marmozets – a band who continue to gather crowds with their razor-sharp and incredibly moshable take on heavy, fast-paced guitar music. Bedford-born Tom Grennan also returns to Geordie pastures after a memorable 2017 HTN appearance. As if that wasn’t enough for a festival still very much in its infancy, Brighton indie stalwarts British Sea Power will be making the trip up North armed with 15 years worth of material and many major festival slots firmly in the bag. HTN isn’t all about the big names though, the festival prides itself on the celebration of upcoming talent. Geordie rockers The Pale White return as an ever growing force in the region’s music scene; Avalanche Party will bring their astonishing live show to Riverside; whilst rapper Dylan Cartlidge is a must-see, recently taking the trip to New York to record in Electric Lady studios, the hip-hop artist will no doubt impress with a solid set of beat-laden lyrical wizardry. The bulk of emerging music is promoted through sister event Meet The North. Taking place on Saturday 5th, it will showcase some of the finest emerging acts from across the region, giving them an invaluable platform on which to progress and gain exposure. MTN 2018 sees the likes of South Shields native Brooke Bentham returning to home turf; Hartlepool’s James Leonard Hewitson returns with witty indie pop tunes; brooding alt. rockers A Festival, A Parade will be a major draw, whilst Cape Cub will be looking to solidify their place as one of the North East’s brightest pop acts. Just to add some icing to that already tasty looking cake, indie giants Peace will be headlining – an indicator of how things can really happen for artists who keep at it. There’s a whole lot more besides across 13 venues in total, check out the website for the full run down. You’d be a fool to miss this.